Taking a vacation somewhere you love can make you wonder what it would be like to own a vacation home there. It’s only natural to dream about having an easily accessible dwelling that you can tap whenever you want to come back to your favorite vacation spot, and owning a vacation home can, in fact, be a very rewarding and even lucrative experience — if you plan it well in advance and know what you’re doing. Do you want a guaranteed place to stay when you or your family goes on vacation to your favorite getaway area? Are you hoping to get a headstart on a retirement home that’s perfect for you and your household? Is this a long-term investment strategy to help you build wealth? There are no wrong answers, but deciding what’s important to you will help ensure that your vacation home experience is a good one. If you’re renting out the vacation home long-term, then maybe the tenant can take care of utility costs, and you can package HOA fees into the rent … but if you’re planning on turning it into a short-term rental with a property management company, you’ll need to factor in the cost of electricity, gas, and water, and possibly also internet or even TV service, if that’s something you’ll want to enjoy while you’re there. It’s a lot better to overestimate your additional costs than to underestimate them so that you can be sure you’re including that money in your budget and aren’t encountering any surprises when it comes to finances. To learn more about the costs and requirements for renting your property out on a long-term or short-term basis, contact Graham Management. It is often best to find an agent local to the vacation location where you want to stake your claim. Those agents know the local market and inventory like the backs of their hands, and they can also help you find homes that will meet your specific needs, especially if they’ve worked with out-of-town buyers regularly. When you’re planning to rent your home, there’s nothing more discouraging than realizing that local regulations forbid short-term rentals. Don’t lay this trap for yourself; spend plenty of time learning about the rules and regulations that exist where you’re buying your vacation home. Not every community is alike — that’s why we go on vacation! — and you want to make sure that your planned use of the property aligns with what you’re allowed to do. For example, maybe a condo would be just as useful for you and your vacation-home plan as a single-family home; yes, there are usually HOA fees involved, but on the flip side, you won’t need to spend money on keeping up with the landscaping. And, many condos have amenities that single-family homes don’t offer, such as an onsite gym or private pool. If you have the ability to buy a multi-family property, it might make an even better arrangement for you than a single-family home; you’ll have more units to rent either long-term or short-term, and you can always leave one open for your own use without impacting your investment bottom line nearly as much. If you’re not sure what would work best for your needs, talk to your local real estate agent about your options. A timeshare might seem like a dream investment, but if you think about how much you’re really spending for just a few days a year in your vacation area of choice, it might not break down to a good strategy for you. After all, there’s a reason why most timeshare sales involve an incentive to sit down and listen to the sales pitch. Between blackout dates, the advance booking, upfront costs, annual fees, and other factors, if you really want to own a vacation property, it may be better to go all-in and buy one yourself than putting your money into a timeshare. It’s easy to imagine that you’d spend all your long weekends and paid time off at your vacation home, and maybe that’s really the case! But it’s best to make a plan for how often you’d be visiting your vacation home and when so that you can truly understand whether it’s a good deal for you. If the slow time at work comes during the rainy season at your vacation home, then you might want to consider an alternate location or figure out how you can take some time during peak season. On the other hand, if you plan on spending all of the peak season at your vacation home, be aware that this decision is going to affect how much money you can make from the home as a short-term or monthly rental when you aren’t there. Even if you don’t plan to rent your vacation home at all and finances aren’t a factor, there are always risks involved with leaving a home unoccupied for long stretches of time. Pipes could burst, or pests could move in. And if you are renting the home and plan on using the money you get in rent to pay off the mortgage on the house, what will you do if the current long-term tenants leave or if you have a gap of several weeks or months when short-term tenants are in scarce supply? 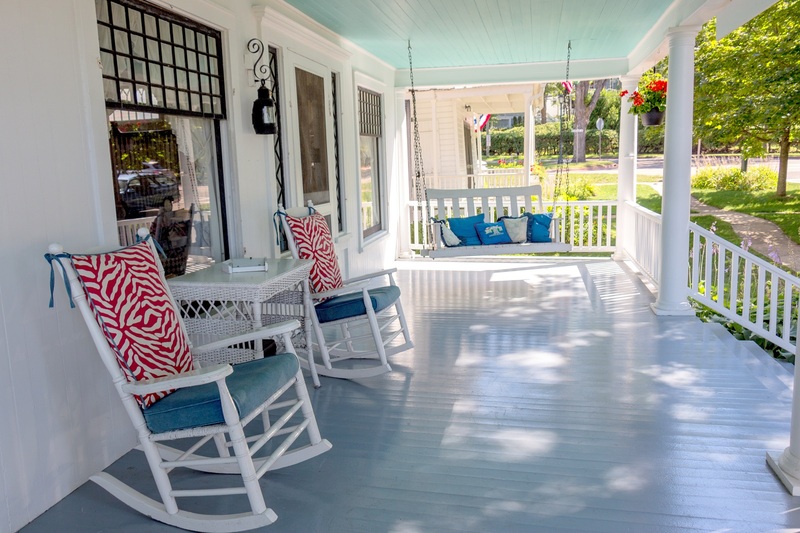 Consider all of the pros (and cons) to owning your vacation home, and don’t leave out factors like convenience and the joy you’ll reap from sitting on the porch watching the sunset. For additional information on vacation homes, contact your Graham Real Estate agent or talk with a rental specialist at one of our rental offices.